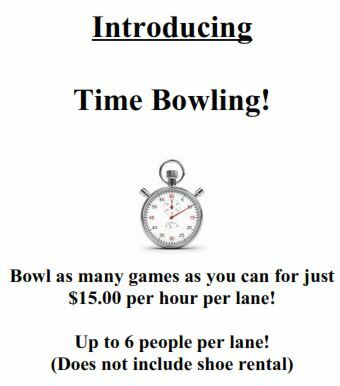 We have 20 automatic scoring lanes for leagues, open bowling, or bumper bowling. Cosmic bowling with glow in the dark lanes, laser lights, available on Fridays and Saturdays. We offer great birthday party packages, group and corporate rates. We also now have video gaming - Hot new games from Bally and IGT with plenty of variety! Tenderloin Tuesdays - $5 jumbo homemade tenderloins for lunch delivery, dine in/carry out lunch and dinner. We also have daily drink specials and bucket specials on Wednesday and Thursday. Copyright © 2018 - 2019 Linn Lanes.